One aspect of the bookbinding, book conservation and book arts scene that I especially enjoy is its community. People get into this archaic field mainly because they love books and bookbinding. While it is all too easy to shop from the salesmen at the Walmart/ Amazon of the bookbinding supply world, it is worthwhile to search out and purchase supplies from smaller specialized vendors — who are often trained bookbinders — and who can provide first hand information about their products. Because of their knowledge, bookbinder/vendors are often innovators in the field, which also should be supported. And they usually care about the long term survival of bookbinding as as art and craft, not just making money from selling stuff, which is important to me. Colophon Book Arts Supply is one of these specialized shops, and was recently purchased by Mary Uthuppuru. Mary began her career as a conservation technician at the Lilly Library, and in 2010, became a full time book artist and book binder working under the name Spring Leaf Press at her home studio in Bloomington, Indiana. She creates artist books, bindings, boxes, and prints inspired by science, literature and nature. 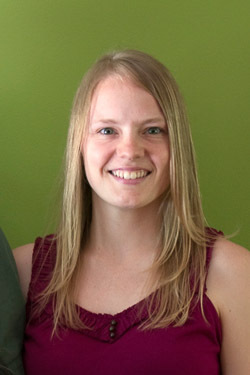 Mary is ecstatic to bring her experience to this new role as the owner of Colophon. Mary Uthuppuru, the ecstatic new owner of Colophon. Mary kindly agreed to answer a few questions about her background and interests. 1) How did you get interested in book arts/ book conservation. Who were your mentors? I found my way to the book arts during my Art History undergraduate days at Indiana University. Yara Cluver teaches a class about artist books which was my first interaction with the concept of book as artwork. However, I didn’t “catch the bug” until I began working for Jim Canary, head of conservation, at the Lilly Library. I was pursuing a masters in Library Science with a concentration in Special Collections when I obtained a student position in the lab. Jim was one of my first mentors, as I know he has been for countless others. Under Jim’s guidance, I began to learn the intricacies of conservation and developed an appreciation for all aspects of the book arts as well as a respect for the history from which it all comes. It doesn’t hurt that all of this happened within one of the finest Special Collections Libraries in the world! Andrea Peterson is another mentor for me though she wouldn’t necessarily think so. I have drawn heavily from her experience as a professional artist in the way that she assimilates the demands of a production papermaker and artist while working with her family to run a dynamic home life. Andrea is more than generous with her honest guidance and openness about her own successes and failures which has influenced the decisions I’ve made over the last few years in my own pursuits. Now, Nancy Morains is mentoring me through the process of running a retail business. Throughout this transition, Nancy has generously given guidance on every aspect of running Colophon. She has always made herself available to answer any questions I have and I anticipate our relationship growing even stronger over time. I am so thankful for the generosity of the people I’ve been lucky to meet during my development so far. They all seemed to have popped up at just the right time with their advice or example. 2) What is your favorite bookbinding tool? Why? It is hard to choose, but I think it is safe to say that my favorite and most used tool is the 9mm metal handled Olfa knife with snap off carbon blades. I use it all of the time and for cutting, there is no alternative. It cuts with precision but is also a work horse when it comes to cutting through binder’s board by hand. Plus, it fits in my pocket…with its blade retracted of course. 3) What is your favorite book structure? This is a tough question for me but I love books that open without a fight. There is nothing better than a well sewn text block that allows pages to open easily but feels sturdy in your hands. I have recently been exploring the millimeter binding and it has a huge appeal to me. This binding has a sewn text block, which I love doing, and the binding comes together in such a way as to allow for limitless customization and design options. It is an elegant binding! 4) How did you decide to take on the role as owner of Colophon, which has such a long history as a quality retail store that is based actual users, rather than a large corporate business. How do you feel your experience as a bookbinder and working in conservation impacts your business? Like every other professional decision so far, timing had a big influence as well as life circumstance. I have been working as a private practice bookbinder and book artist for almost seven years now. Working towards my own objectives has been a privilege, but I was looking for a new endeavor to help with financial stability. When I heard Nancy was looking to find a new owner in pursuit of her retirement, I was thrilled with the idea. I would be able to continue to work at home, be in charge of my own schedule, and attend the events I love to go to every year. After talking about it with Nancy as well as other vendors in our field, I pursued the idea with seriousness and began seeking advice from professionals in Bloomington. I kept pursuing it and people kept helping me move forward! After some time, there didn’t seem to be a reason why I shouldn’t. Both Nancy and I agree that it just seems to fit. The reason I even considered such a big undertaking was because of the nature of the store. It really does have a long history and the way that Nancy has fostered this community around the items she carries is nothing short of inspirational. Anyone talking with Nancy during a show immediately connects with her genuine nature; it has certainly show her uniqueness. It is her ability to connect with people that then turn into longtime customers that made me want to be a part of Colophon’s history. I value the one on one connection where people, both store owner and customer, have the chance to talk about the specifics of our trade and discover things that would benefit the larger community. It is a place of sharing that our field relies on. After all, the book arts is all in the details. As for my experience, my difficulty in saying no to any new skill has already served me well and will continue to do so. 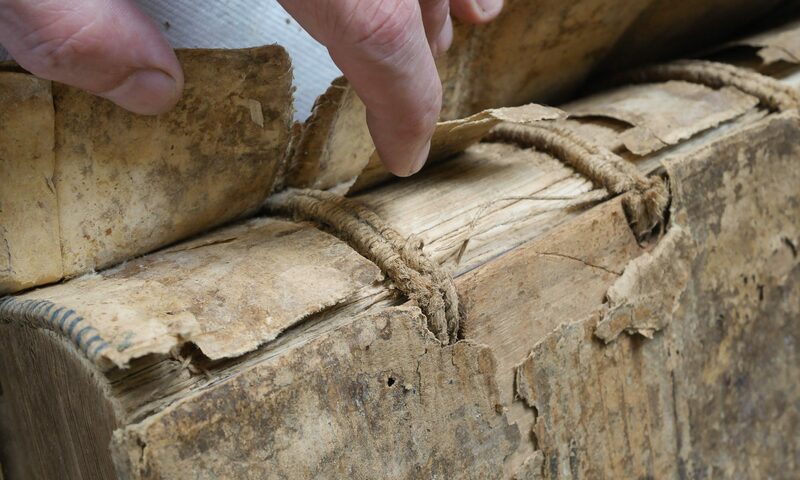 My exploration throughout bookbinding as well as conservation has made me familiar with most of the supplies Nancy has carried and will provide me insight into the supplies I may want to carry in the future. Knowing about the various disciplines in our field gives me a chance to speak from experience in using the supplies in the shop. This makes it possible for me to advise people who aren’t quite sure about what they are looking for or to help people who have a problem to solve and just need the right solution. I love this kind of problem solving and the more I talk to people, the more I learn along the way. 5) You spend a lot of time giving back to the book arts community, currently as a recent volunteer as (programs chair of Midwest chapter) of the Guild of Bookworkers. How do you juggle maintaining an active bindery, volunteering, and working as a retailer of supplies? Do there various “hats” you wear mutually reinforcing, or are there potential conflicts of interest? Having so much going on is tough. It was hard for me to say “no” to any opportunity when I first got started so I’ve had to learn how to manage my time in a way that would still allow me to meet my goals. It has all been a lesson in prioritizing jobs that have due dates and figuring out when I am most productive for each thing. For example, I am sharper with writing and computer work in the mornings, while the afternoons and evenings are better for bench work. But this is specific to me and ultimately, I have had to do things ungracefully till I figured that out. For a time, having all of these things in my life were really beneficial. As a new-to-the-field bookbinder, I needed to connect with our community and the best way to do that was to take on the volunteer position as Programs Chair. I met everyone in my chapter through the events I organized and that extended to the national level. However, I held that position for 5 years and after a time it was clear that I needed to really focus on my private endeavors for a while so I stepped down from that role last year. That being said, I have replaced that volunteer role with some that are local to Bloomington. Adding an online retail store will add a level of complication to my ability to schedule a multitude of responsibilities, but as I am discovering now, it just means that I have to be more selective with what I take on. The benefit of this restriction is that I can see more quickly what is worthwhile to me. Also, I am constantly reading about people and companies that find new ways to keep their work and life flowing smoothly. 6) What is the one piece of advice you would give someone starting out in the book arts? It was difficult for me to find my place within the limitless directions you can take in our field; there are just so many options. The most important factor in my development so far have been the people in our field. I would highly encourage a beginner to become involved with an organization that best represents their goals. Groups like the Guild of Book Workers are an unlimited resource when it comes to practical instruction or advice about the direction of your career. Besides, the people involved in organizations like this are the ones hiring people! So who better than them to go to for guidance! 7) What products that Colophon currently sells are your personal favorites? What are unique to colophon? For tools, I mentioned before the 9mm Olfa knife complete with the black carbon blades (those are key). That knife comes in two sizes, but I reach for the smaller of the two more frequently. I also love the Japanese screw punch with each of its 9 bits. It’s a classic that cuts perfect little holes in anything from from paper to book board to thin wood veneer. 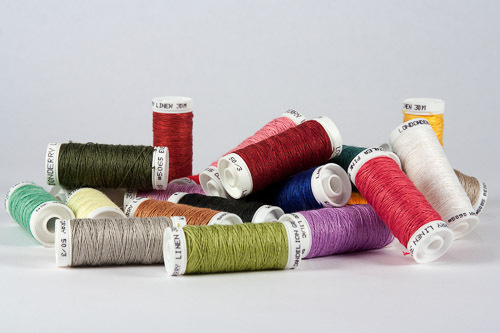 As for materials, I can’t help but continue to collect the small colored Londonderry linen thread spools; there are so many colors to choose from! I’ve also been drawn into the duo and Dubletta cloths for both book and box making. The colors are stunning and as far as I know, they are unique to Colophon. This list could be much longer, but for the sake of brevity those are the highlights to me! 8) What are your future plans for Colophon? Will you try to develop the business into a teaching facility as others are attempting? I will continue to develop the new website into a resource for the shop and the community. The shopping cart and online credit card payment feature is a big upgrade, but I will also continue to add photographs that help online shopping for tactile materials. Along the same lines, videos will appear showing people how to use some of the more mysterious tools. Nancy had a section of the website that included resources for people looking to learn and I would like to expand that as well. As for teaching, I love the idea of developing Colophon into a teaching resource. I have been doing some teaching myself over the last few years so it seems right to have Colophon develop in that direction though it might be a year or so before that comes to fruition. Currently, the shop is running from my house as well as a storage facility. Down the road though, I envision a physical space where the store will be centralized and people can come to take workshops as well as pick up orders in person. 9) Are there potential new products or other developments we can look forward to? I hope to fill out a few areas of the shop, specifically adhesives and bookbinding tools. There are a few things that would be valuable to have available alongside the other great stock, like conservation adhesives, and I will announce the new items on social media and listservs. I’ve had great feedback from colleagues as to what types of things they are looking for. It is really helpful to get this kind of feedback so that I can anticipate what gaps there are in the shop that I may not have seen myself. I am always happy to take suggestions as to what items people would like to see available. If it makes sense to carry it and is feasible, I will do what I can to make it happen. Finally, Colophon is now on social media! This is an area that I hope to develop alongside the website in order to keep shop items and announcements visible. Check out our twitter and Instagram feeds @colphonbookarts to stay up to date on new products, updates, and happenings. I personally use a number of Colophon products. Two of my favorite are the Garniture linen cords and the colored Londonderry thread. 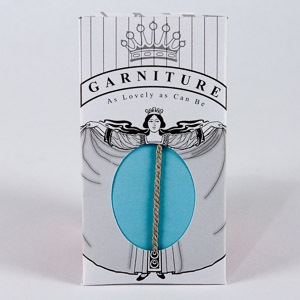 The Garniture cord Colophon sells is perfect for Gothic style historical models. I use the Londonderry linen thread all the time. It comes in a variety of sizes. There are many other Colophon products to list that I use on a regular basis, including quarter-sawn white oak book boards, Eska binders board, Rohhalbleinen book cloth, Brillianta book cloth, C&D linen cord, the Londonderry lacing thread (I love the softness of this thread!) and of course the Colophon Best Linen sewing thread. Best of luck with your new venture Mary! I wish you and Colophon Book Arts continued success!